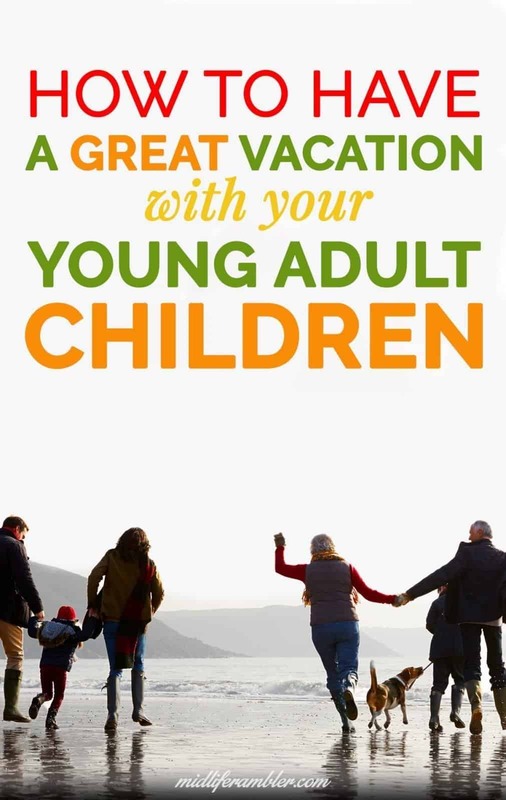 Vacations with your young adult children can be an amazing opportunity to bond. You just need to remember that they aren’t kids anymore and follow these simple tips. 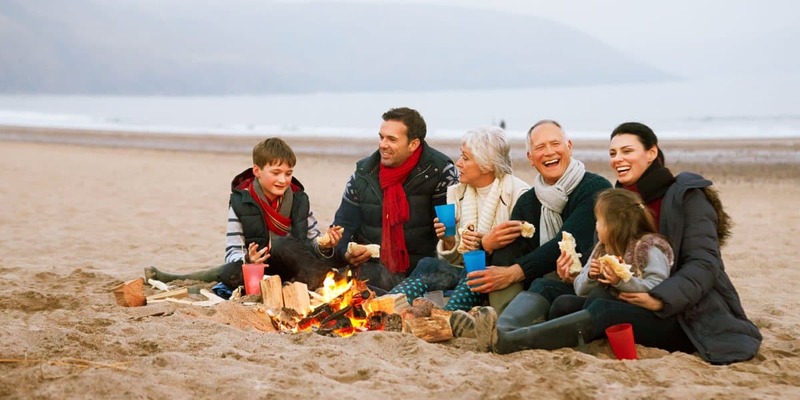 A family vacation with your college student or young adult children can be a wonderful way to ease into a new dynamic as your children grow up; you get to share experiences with your child on an equal footing and you get to know each other as people outside the parent/child relationship. Or, you know, it can be a total disaster. I was concerned about the potential for total disaster before our family vacation to Great Britain with my husband, my sister and two of my twenty-something kids. On previous trips with my young adult children, I started every day by yelling at them to “Get up! You are sleeping the day away!” which left us both grumpy and disinclined to hang out together. I vowed this time things would be different and thought long and hard about the potential pitfalls and how to avoid them. I’m pleased to say that the trip ended up being a once in a lifetime experience for us all and I’ve discovered a few ways to make sure future trips are as enjoyable as this one was. A group of 5 people can’t wake each morning and casually talk out what they’d like to do that day. 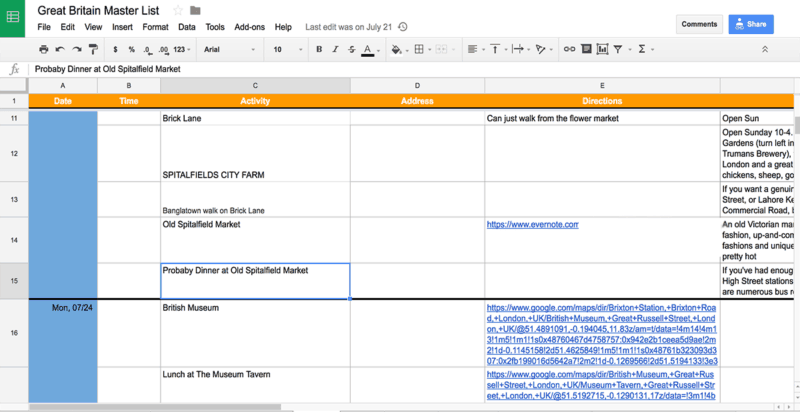 I decided that this was essentially a tour group in London, guided by myself, and created an elaborate spreadsheet with a mixture of planned activities and free time for each day. This ensured we hit the important places while giving everyone a chance to have some downtime or explore on their own. We flew to London from JFK which meant 4 of us had to fly to New York from other cities. 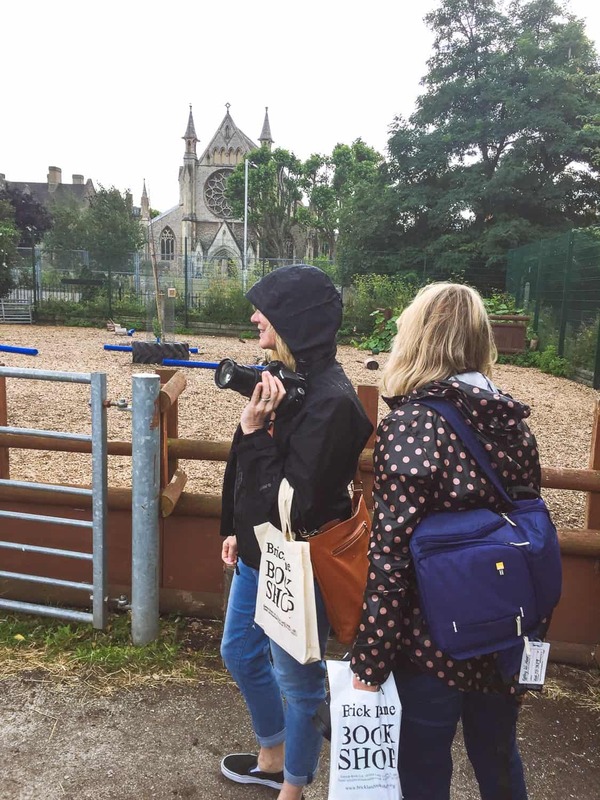 I was a little nervous about all the logistics of getting our group to London and then on to our Airbnb so I had a second spreadsheet with everyone’s flight information, the addresses of everywhere we needed to be and maps of how to get there. That proved invaluable in making sure we all safely arrived where we were supposed to be when we needed to be there. Pro-tip for visiting London: We stayed in Brixton, the last stop on the Victoria Tube Line. Our place was beautiful and perfect for us and much cheaper than it would have been if we were closer to London. We were a 10-minute walk from the Tube Station and could be in Central London in 10 minutes once we got on the Tube. 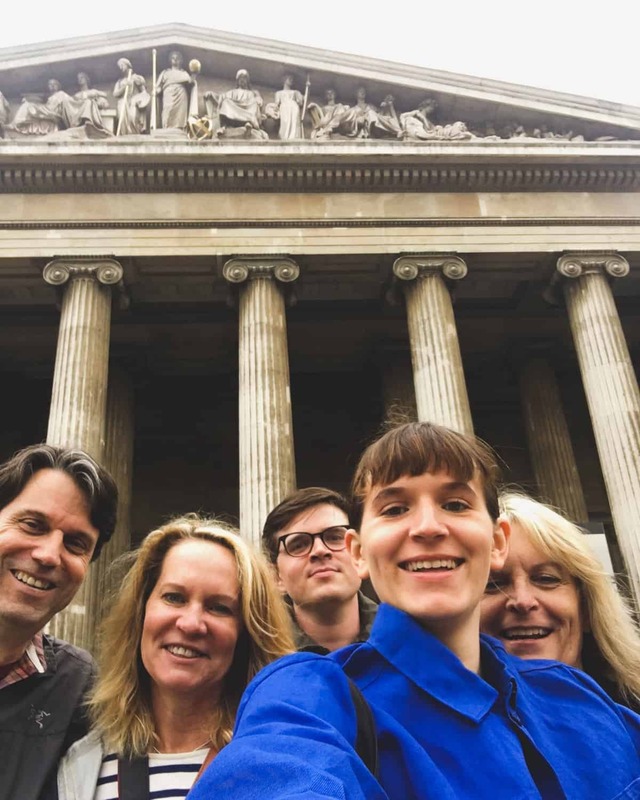 I did take charge of planning the trip, but I reached out to everybody to see what places and activities each person had on their London bucket list. And every time I considered something for our itinerary, I reached out to everyone to gauge their interest. 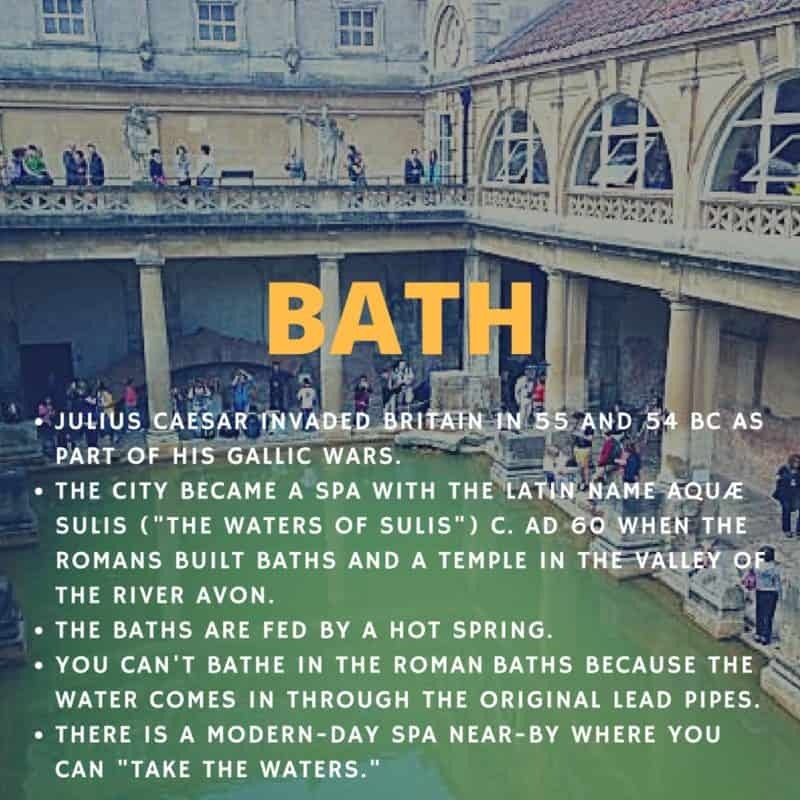 A month before the trip I became concerned that our group didn’t really know enough about London to truly get excited about the trip so I started a group text for everyone and sent out a graphic every day with a “Fact of the Day” about places we were likely to see on our trip and highlights of British history. That worked even better than I anticipated because the fact frequently led to back and forth discussion with the whole group. It helped us feel like a team before we ever gathered together for the trip. My daughter told me she would go on the trip only if I guaranteed her “complete autonomy.” She didn’t want to get stuck spending the day touring buildings and visiting museums that held no interest for her. I was more than happy to oblige her because nothing ruins an experience you’d otherwise enjoy faster than having to share it with someone who is actively hating it. Each person was free to participate in the day’s activities or not. This meant that most days started with my husband, sister and I heading out of the house without the kids early in the morning. Then someone would typically meet us about lunchtime, followed later by the final member of our party. We somehow always ended up together in time for dinner. There was a reason that we always seemed to come together for meals, of course. Before the trip, I told each kid that I’d pay for anything we did together and they’d need to pay for any souvenirs or activities they did on their own. This ended up producing a lot more unity than I expected but I was happy to pay. Both kids live in other cities now and I was grateful for a chance to hang out as a family during this trip as much as we possibly could. I had only request for everyone in the group. If I pre-purchased tickets to a tour or attraction, I would first contact everyone individually to see if they were interested. If they were, I bought them a ticket but first I made it clear that these agreements were non-negotiable and non-refundable. Everyone involved needed to agree that they wouldn’t change their mind and try to weasel out of the activity later and they’d be ready to go when we needed to leave (we had to leave the house at 6 a.m. for our tour to Stonehenge). I’m pleased to report we never had any issues and everyone was (mostly) cheerful and on-time. The days of cramming everyone into one hotel room in order to save money are over; your adult kids need a private space. Fortunately, you don’t have to pay a ton of money to get that. 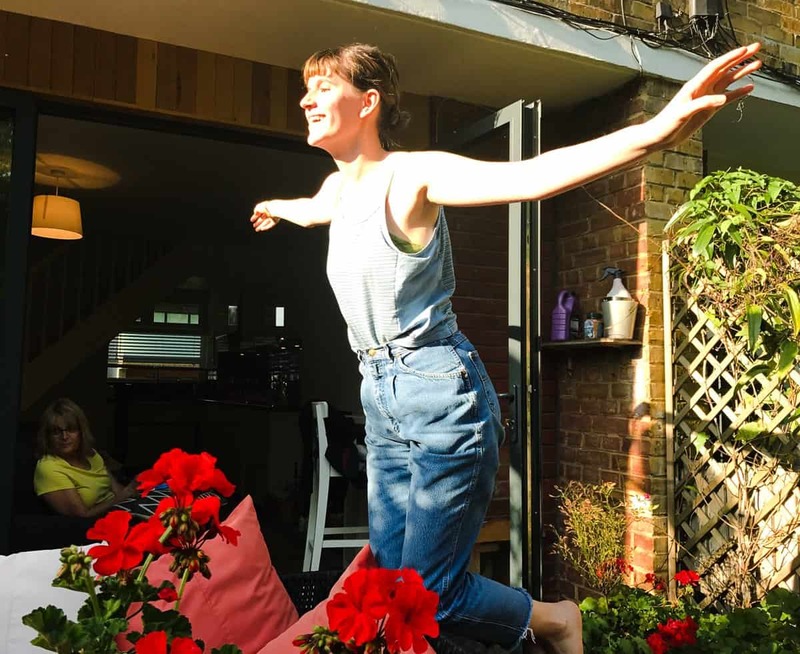 In fact, we stayed in lovely 3 bedroom Airbnb rental in the suburbs of London for the same price that we would have paid for one hotel room in the heart of London. Having a kitchen helped us save money on meals as well and we had a lovely backyard where we could relax at the end of a long day on our feet. 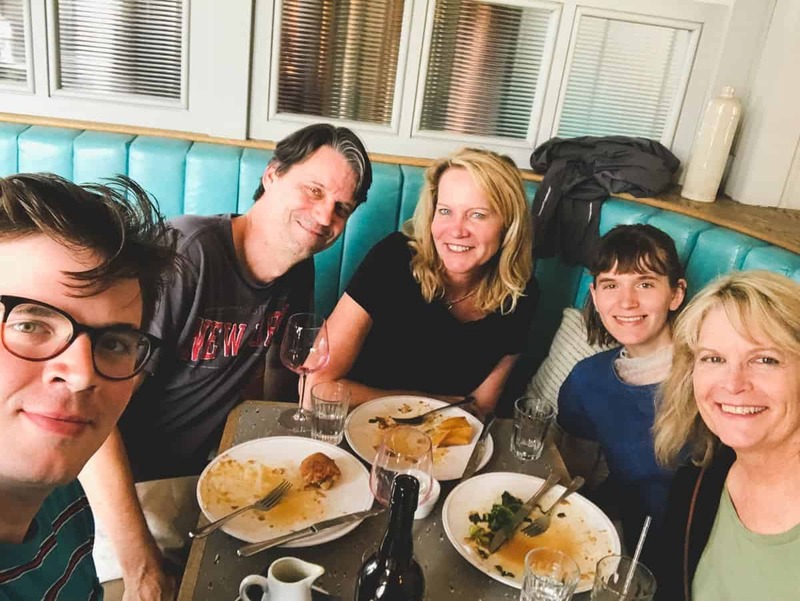 Having a home base also helped us achieve one of my hoped-for goals for the vacation: saving some time just for hanging out and reconnecting together. We spent one lovely evening playing games in the beautiful garden of our house and my sister and daughter cuddled on the couch one night to Facetime with my sister’s granddaughter. I think we all got to know each other a little better. Protip: If you’re interested in trying Airbnb for yourself, use this link to get $20 off your first booking! An unscheduled trip to Dover led to one of our best days together as a family. 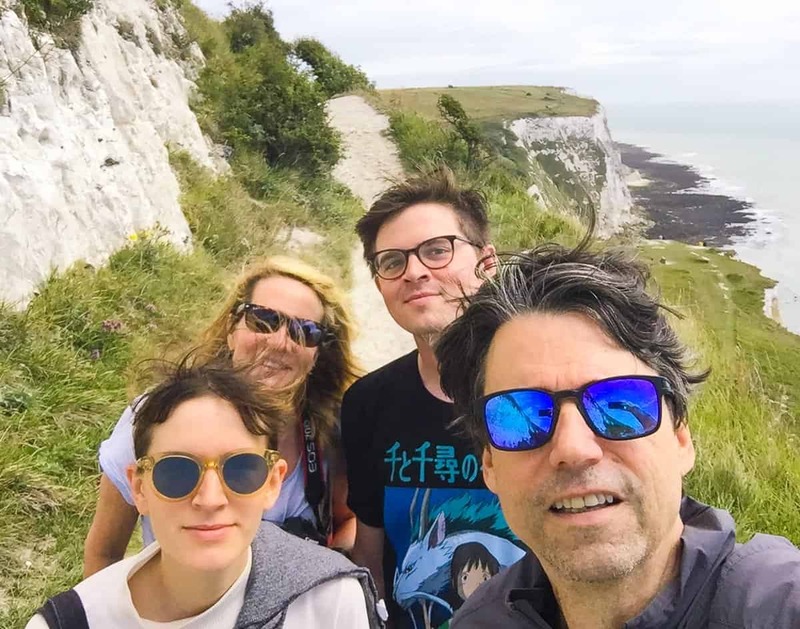 My husband and I decided to ride the train down to Dover to hike along the white cliffs and expected that nobody else would want to go. To our amazement, both kids wanted to go as well. The trip wasn’t without its tough points. When we got into Dover, it actually wasn’t clear at all how to get to the cliffs so we spent far too long walking along wondering which way to go. The hike up the hill was harder than I thought it would be. But we were rewarded with a view so amazing we were all stunned into a reverent silence. The world seemed to fold out in front of us and we all sat for a spell just to appreciate it. And I silently savored and appreciated this moment of happiness with my family. Such great tips! I like your whole approach. Sounds like a wonderful trip. Sharing with the My Side of 50 audience! Thanks for sharing Cathy! Love your blog. Great post, and great tips! Putting this into my bucket list, stat! I love your ideas. How did you overcome the feeling of being the big bad boss during all that planning? Hi Amy! I did A LOT of group texts asking for input and I tried very hard to not be attached to any particular outcome. The planning was really fun for me.